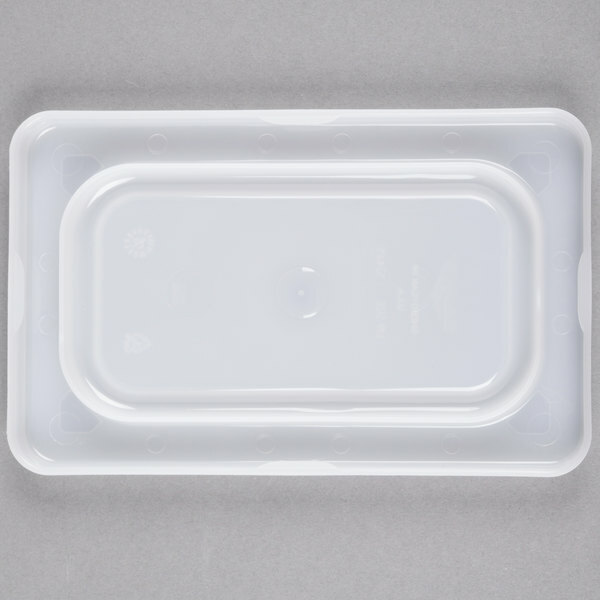 Stack, store, and transport your pre-cooked or refrigerated foods with this Vollrath 52435 Super Pan V steam table pan lid! 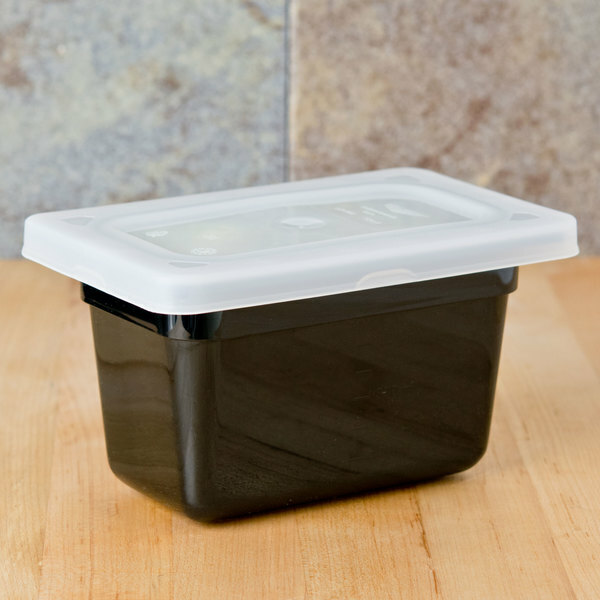 Designed to fit on Vollrath Super Pans (sold separately), this lid is a great choice if you are preparing food ahead and storing it in a cooler, transporting food to catered events, or stacking pans of ingredients in the refrigerator. 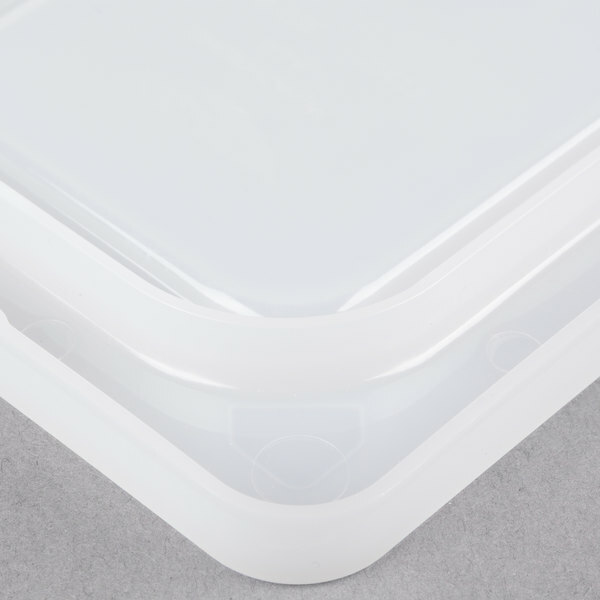 This lid allows you to stack pans full of food and helps to prevent contaminants from coming into contact with your food. 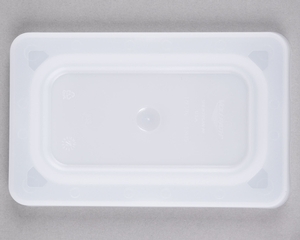 "The Vollrath Super Pan V 1/9 Size Flexible Steam Table/ Hotel Pan Lid is an excellent quality lid. It fits well on a 1/9 size pan and is easy to clean. 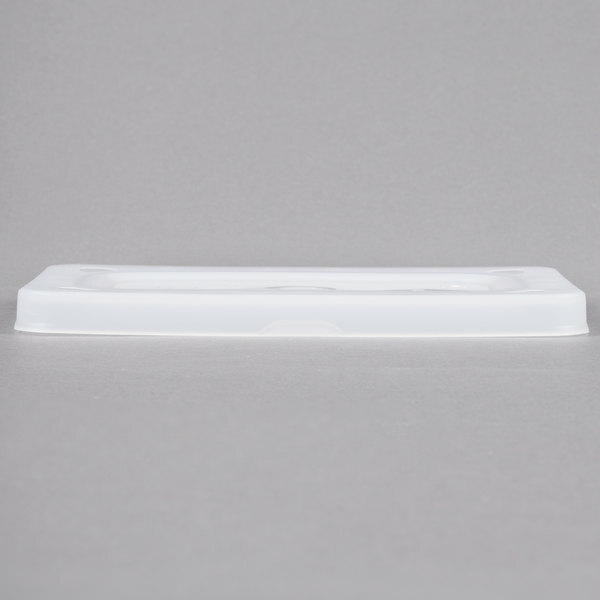 It is very durable and long lasting. I would highly recommend this." 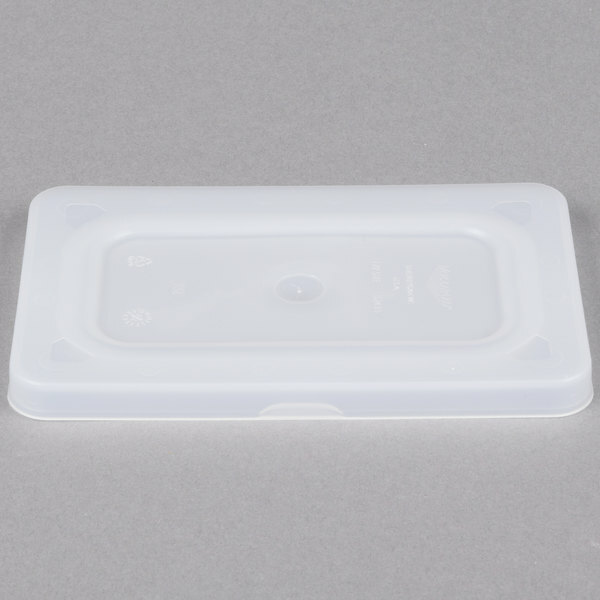 This flexible, translucent cover is made of low-density polyethylene for a non-staining, dishwasher safe solution to your storing needs. 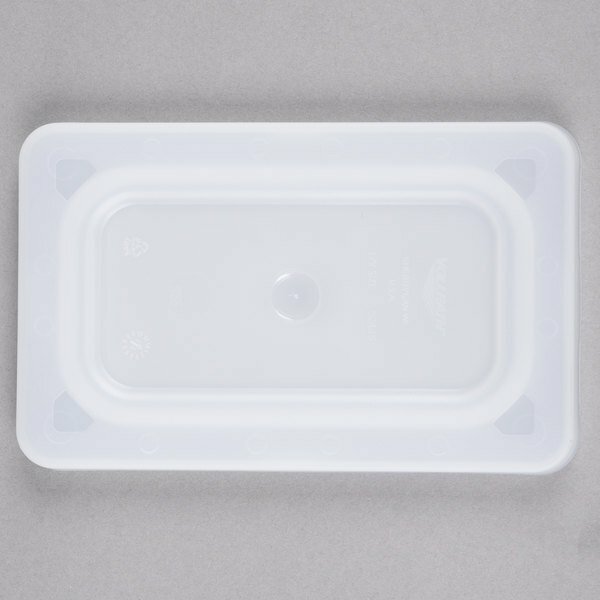 Sanitary and easy to clean, this pan lid won't cost you valuable hours scrubbing and sterilizing! 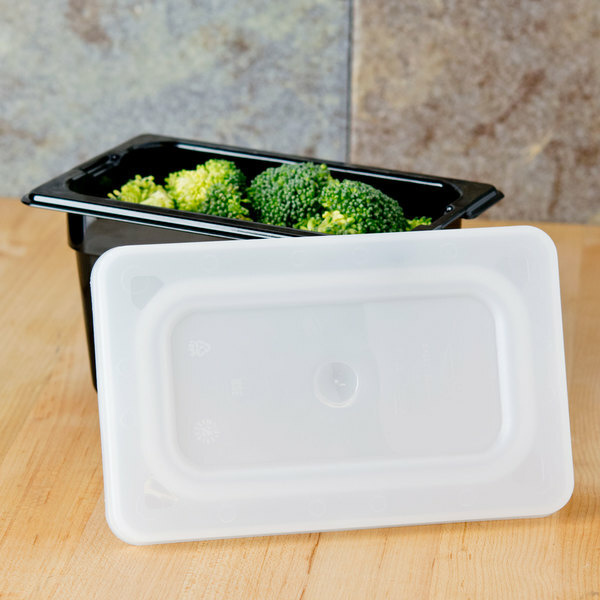 Whether you're storing meals before your event or saving them after, this lid ensures that your ingredients stay fresh and food safe! 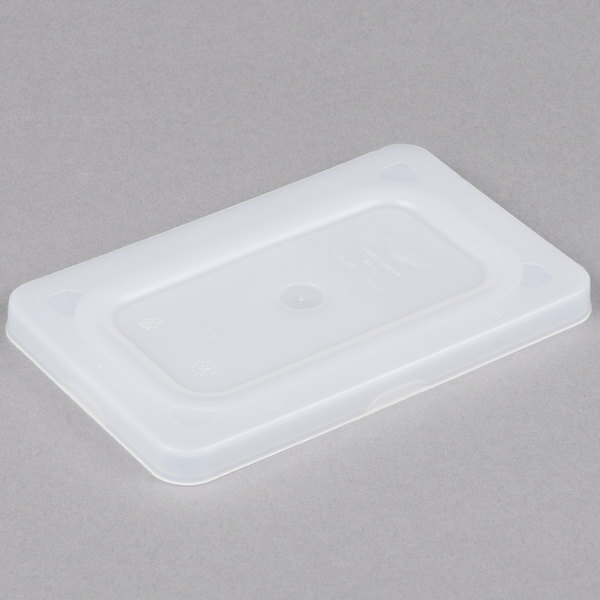 This cover is safe to use in temperatures ranging from -20 to 190 degrees Fahrenheit. The edge around this lid allows for stress-free stacking so you can quickly and easily transport pans to and from your banquet, buffet, catered event, and more! Or, you can stack them in your refrigerator to save storage space. 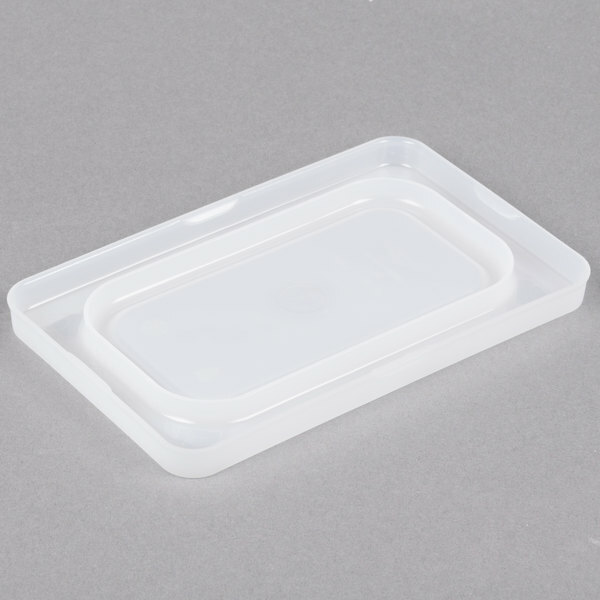 The Vollrath Super Pan V 1/9 Size Flexible Steam Table/ Hotel Pan Lid is an excellent quality lid. It fits well on a 1/9 size pan and is easy to clean. It is very durable and long lasting. I would highly recommend this.